Mosaic Workshops at Eagle Bluff Environmental Center, Lanesboro, MN. 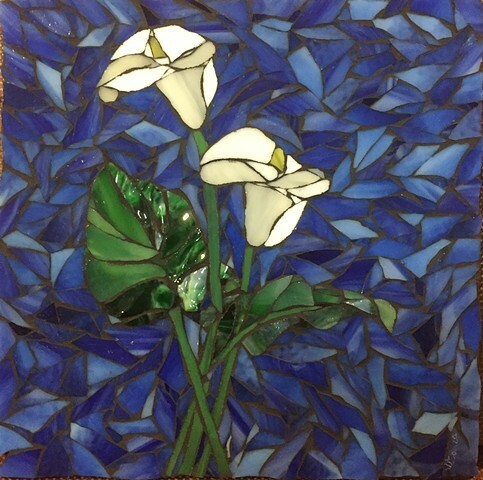 3 day Mosaic Basics Workshop with Bonus 5 course Gourmet French Wine and Food Luncheon. Established in 2004, the Minnesota Mosaic Guild (MMG) was formed to promote the art of mosaic; foster exploration and experimentation in the media; provide educational opportunities in mosaic; and share and celebrate the diversity of experience and knowledge in the media. Our members emerge from a multitude of artistic backgrounds including sculpture, art instruction, jewelry making, graphic design and oil paining. "Established in 2005, The Chicago Mosaic School (CMS) is the first and only school in North America dedicated to the study and academic discipline of mosaic fine art." CMS hosts local artists, educators and students as well as those from across the county and around the world. The faculty is professionally trained and they host some of today's most influential mosaic artists from around the world. It is a special place to learn and grow as an artist and individual, with an open approach for learning. Founded in 1999 by a small group of mosaic artists. Today SAMA is the largest nonprofit mosaic organization in the world.It is dedicated to educating, inspiring and promoting excellence in mosaic arts. To achieve this mission, SAMA organizes programs, events and activities which promote the knowledge of mosaics as an art form and inspire and educate artists world wide. Great River is a Chapter of the American Society of Botanical Artists. Membership is open to all individuals in the upper midwest region (encompassing Minnesota, Iowa, Wisconsin, North Dakota, and South Dakota) who are interested in botanical art. GRC emphasizes the region's plant diversity and its preservation, provides a community for artists engaged in this challenging discipline, educational programs and meetings for discussions, as well as for camaraderie among other botanical artists and those who appreciate botanical art. The Minnesota School of Botanical Art at the Bakken Museum is dedicated to furthering the tradition of the art of botanical illustration through teaching courses that combine the scientific and the aesthetic in drawing and painting. Courses are designed for those who want to explore art for pleasure as well as for those who are interested in pursuing the topic in more depth. Kami is a talented, nationally recognized landscape/still-life painter. She is most comfortable out in the landscapes she loves doing plein-air painting. 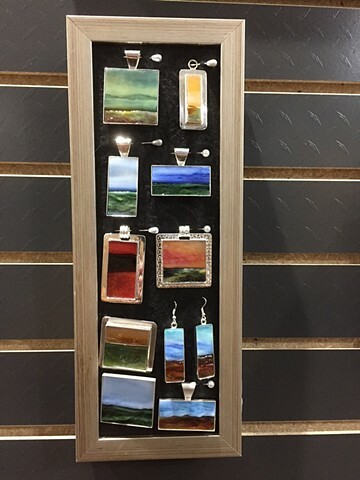 When she is not in the field she can be found teaching in her Rivertown Studio located in Stillwater, MN. I am currently taking classes from Kami to improve my oil painting skills and tools to help me be a better artist for future endeavors. She is a great artist and teacher. The Minneapolis Institute of Arts is on of the premier fine art museums in the mid-west. Featuring an extensive collection of modern classics to ancient treasures. Check out my blog where I am posting activities that pertain to my other art interests. I'm working on stained glass, mosaics and other painting interests.